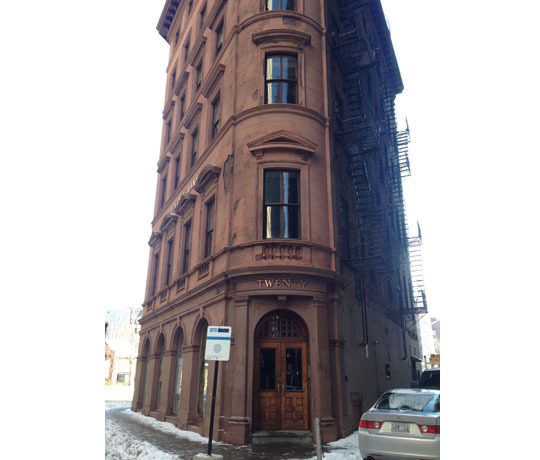 Situated in the heart historic of Providence, when this shockingly narrow six-story masonry building was built in 1840, it was the tallest building in Providence and played a key role in the city’s maritime past. 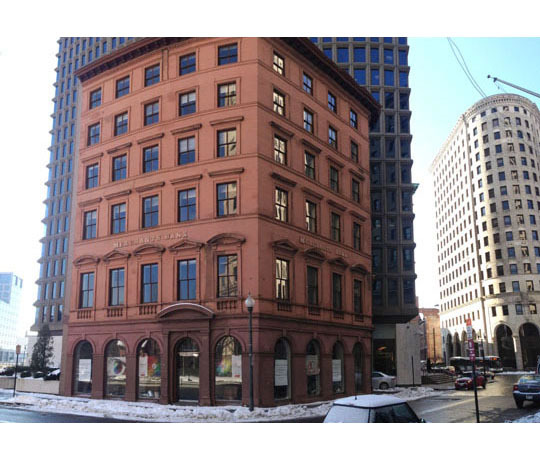 Still containing multiple bank vaults, it played an important role in the city’s history as a financial hub of New England, and is a contributing structure in the National Register Historic District. 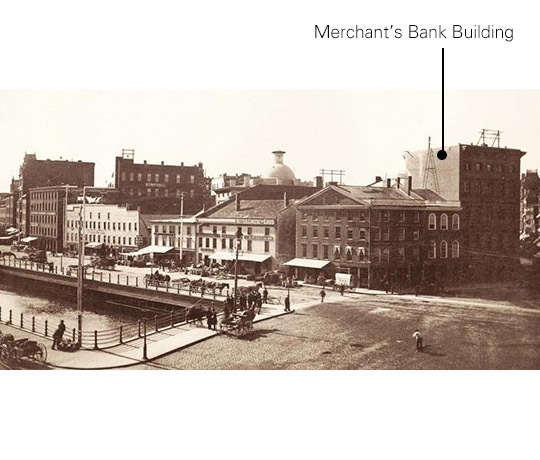 Situated on the banks of the Providence River, it took advantage of its waterside location and catered to merchants arriving with precious cargo. From structural evidence and historic photos, the top story was built after the original was constructed, and the ornamental stonework of the lower facade replicated. 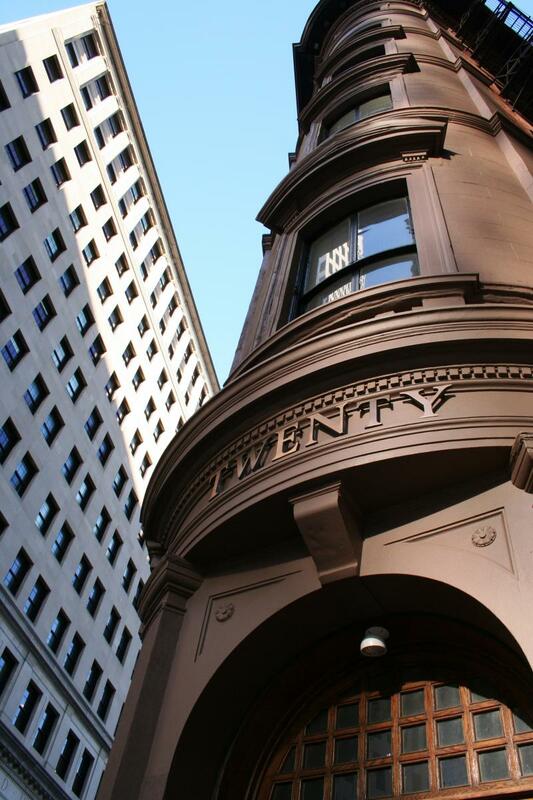 After use as an office building, and home for many years to RISD Works, it was vacant for many years until a new life as upscale residences with a ground floor restaurant was undertaken. KITE helped the developers with appropriate interior layouts, details, and finishes to the interiors. 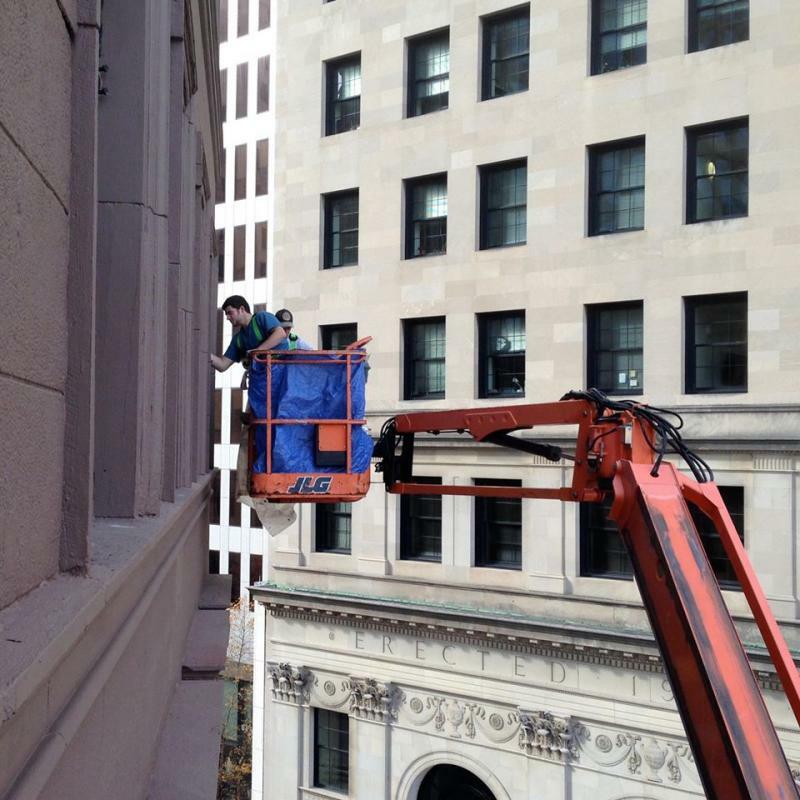 The construction challenges of a tight urban site were dealt with as the decaying stonework were stabilized and new openings with wood windows crafted to match the original were created. Now completed, the mixed-use building contains the ground floor restaurant Cilantro, and high-ceilinged sophisticated apartments with unparalleled riverfront and city views. As a recipient of State and Federal Historic Tax Credits, the project was subject to Department of the Interior standards, and also benefited from the special provisions of the RI State Rehabilitation Code. The central historic staircase was allowed to be maintained, and historic elements such as the ornate main entry were preserved.